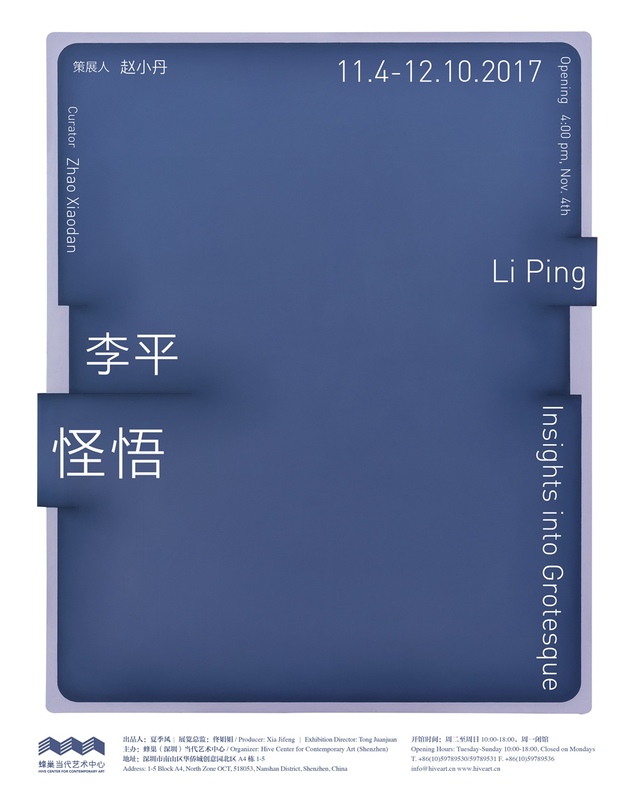 Hive Centre for Contemporary Art (Shenzhen) is pleased to announce the opening of “Li Ping: Insights into Grotesque” on 4th Nov. 2017. It’s the artist’s second solo exhibition in cooperation with Hive. Both the “Insight into Grotesque” series in this show and the “New Substance” series displayed in 2015 are originated from the idea of extending “object”—the carrier and feature of minimalist painting; what’s different is that “Insight into Grotesque” can be dated back to his visual experience of observing the monster images in medieval buildings when he studied in Italy years ago. He distilled the elements of “image” when studying the pattern of medieval monster thinking, which can also be caught by viewers from his new works. One of the reasons why he implants “image” in his new works is his concern for the tendency where minimalist painting that is supposed to be “geometry”-based has become increasingly formalized. After reflecting on this and his own practice, he makes such a transition. To a certain extent, “image” is figuratively connotative, and when being presented in an abstract mind, it lays a particular emphasis on what’s inside the painting form and the related aesthetic experience. Specifically, the video work showcased in this exhibition manifests the constant line running through his artistic practice, and tells of his exploration in form made in the “New Substance” series through the performance of light and shadow, the patchwork of wood panels and the combination of pure colors. The other works also depart from this very point, link the problems to be rendered in his new works—like the boundaries between lines and objects, the shapes of colors under rational control and the individual imagination, etc., and try to generate more possibilities of perceiving through these problems. This is Li Ping’s second solo exhibition held in Hive Center for Contemporary Art. 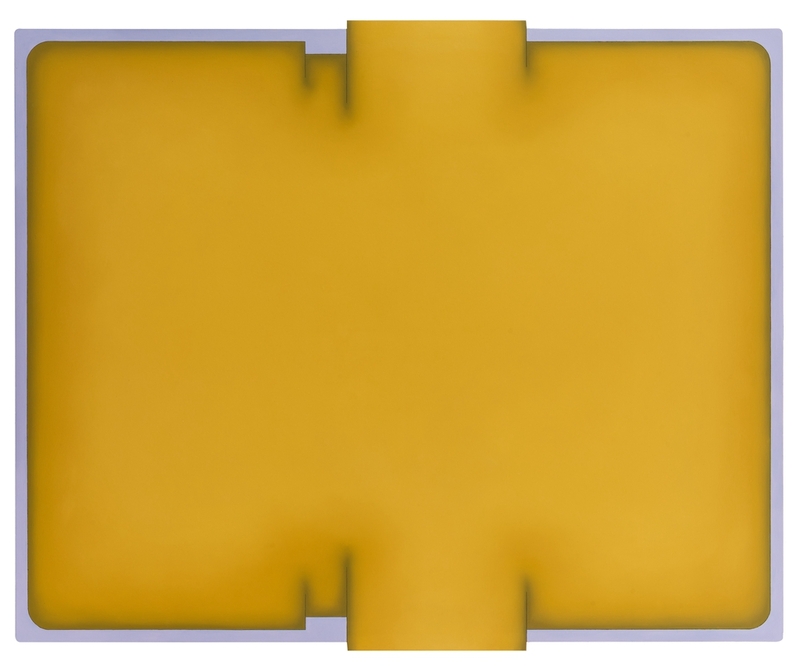 Compared with his previous “New Substance” series in 2015, the works displayed this time still concern minimalist painting because they also extend the characteristic of “object”, whereas the series entitled “Insight into Grotesque” displayed in this solo under the same name are an attempt made to bring back “image”—an attempt based on his life experience and various results of perceptual implication. Personal experience and perceptual implication, if written into text, are two very independent lines. Yet in reality, they often converge into one and their junction is as blurring as a grey zone. The following description, to some extent, clarifies the boundary of this grey zone. 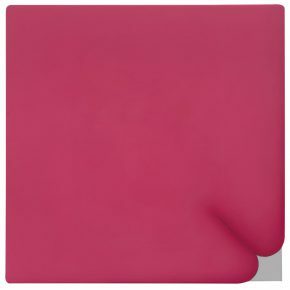 Yeas back, Li Ping studied at Academy of Fine Arts of Bologna in Italy, and this history changed his art-making path he had held in China, for instance: Lucio Fontana who claimed to have “tried to break the dimensional limitations” of the canvas and “created an infinite dimension” is roaring and significant for Li Ping. In this exhibition, his first video produced when studying in Italy can be regarded as a response to Fontana’s manifesto, although the video was originated from the moving-image-like impressions on the KT board accidentally projected by the light cruising in the dark. Apparently the ephemeral yet continuous vacillating makes the light-and-shadow, object and spatial energy based on this experience the starting point of his later easel painting, i.e. the “New Substance” series created from 2013 to 2016. 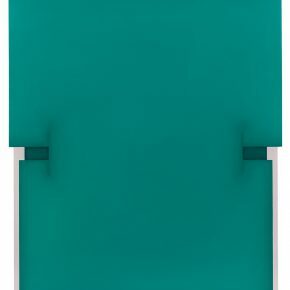 During these four years, Li Ping explored the formal possibilities in light and shadow, the patchwork of wood panels and in the combination of pure colors, and his pictures would remind viewers of the horizontal or vertical folds caused by the movements of sound waves or musical notes in sharps or flats. He wants to fluctuate viewers with these folding rhythms. “New Substance” is composed mainly by lines, while the “Points” series made in 2014, though odd in form and very catchy, slips off his main track of artistic creation, so he ended it after experimenting for a while. It’s necessary to explicate the context in which he made the “Points” series, especially for the reason that the “Insight into Grotesque” series in one way or another furthers the idea developed in “Points”. As mentioned above, Li Ping studied in Italy earlier, and it’s right during that period of time that he saw a large number of medieval remains almost anywhere he went, particularly the images of man and animals in sculpture or architecture, and they look extremely absurd and grotesque against his own cultural background. At that time, grotesque myths existed as a way of interpretation rooted in the unknown territory between the authority of church and the animism in the folk tradition, but in fact, the cognitive imbalance among different groups gave a kind of space to the coexistence of men and gods which, non-governmental so rarely recorded in professional texts, can only be found in novels and genres alike. From then on, Li Ping closely observed these grotesques, carefully studied the researches on medieval monsters and read related writings. This journey of survey inevitably drew him towards new images. Consequently, the “Points” series was produced. 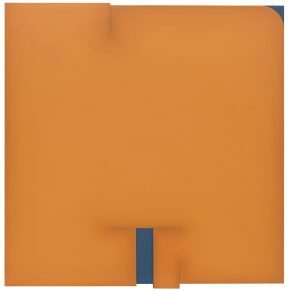 Although, to some extent, the naming of “Points” responds to the predecessor minimalists’ works that have holes poked through the canvas. The emergence of “Insight into Grotesque” pieces together the line that almost falls apart. Furthermore, we can even say that in the “Points” and “Insight into Grotesque” series, Li Ping tries to implant realistic images onto the wood panel. Then the question that confronts him is, in what forms the images should stay on the panel so that they can be a kind of real existence that only gives viewers a sense of speechlessness at a moment in terms of the logic of viewing, without being seen through at one glance. Behind the return of “image” in his works, there lie twists and turns of life. Back to China from Italy, the context of his art practice has shifted one more time, so his painting has seen a transition from realistic to non-realistic and to realistic—the connotation of the second “realistic” has been altered compared with the first one. From the critical and realistic works made before he left for Italy and the minimalist language drawn by Li Ping out of Western modernist painting and dominant in his further creations to the experimentation of surviving image in abstract language, this threefold path of alteration has roughly silhouetted the site-specific features of his art practice. This is neither the same with the logic of minimalist painting that follows modernism in the Western orthodox lineage, nor the same with the logic of Chinese abstract painting, the logic that advocates to resist realism. Parallelly speaking, although, to a considerable extent, pop and neo-expressionism are actually a return to “image”, the images in Li Ping’s new works haven’t altered culturally, but become rather realistic. In simple terms, the figurative soul adopts the abstract expressions to deliver the form of abstract painting. In A Brief History of Mankind, Yuval Harari expounded the relationship between human development and “fiction” or, in one way or another, what we call as “imagination”. And as a reader of this book, Li Ping reiterated Harari’s “imagination” and the forms of fictive animals in medieval animal fables. When he juxtaposes these two, he gradually reveals the transitional node of his new works. The foothold of minimalist painting is “geometries”, but the gradually formularized abstract painting of today becomes visually dull and psychologically pale, which’s one of the factors that propel Li Ping to make a change. 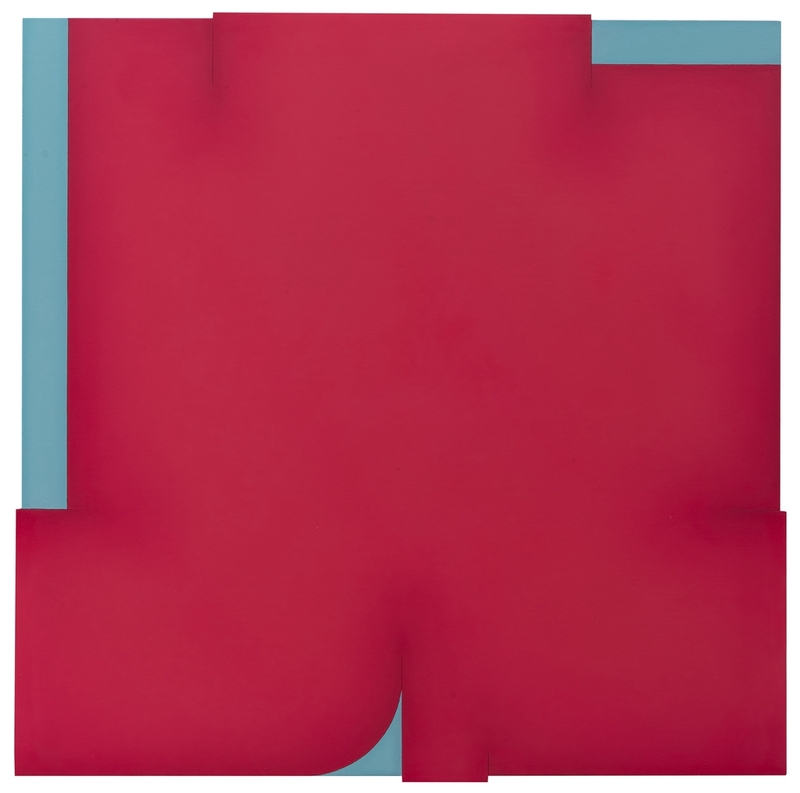 The orthodox of minimalist painting, when no longer demanding the painterly subjectivity defended by abstract expressionist painting, gives places to the discussions of objects and boundaries raised by Stella, Reinhardt, Fontana, Mangold, etc. So how should Li Ping, an insider of this system too, take his road? 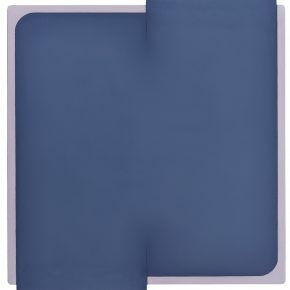 To reflect on the totality of abstract painting, and to simultaneously reflect on himself. Li Ping again picks the vehicle of his practice, the “object”—wood panel, and also faces the problem of how to convey the information concerning the power of perceiving through “point-line-plane”. 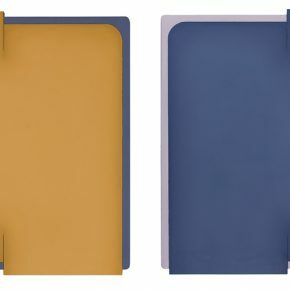 In his new works, Li Ping slowly banned the parallel fluctuations, vertical space and obvious light and performance of light-and-shadow seen in his previous series; still, the large-area pure color has been adopted, together with surrounding complementary color to drive the whole shape into a binary logic. Given suppressed light source, the major pictorial movement has to rely on the short lines in the middle and on the collaged frame. 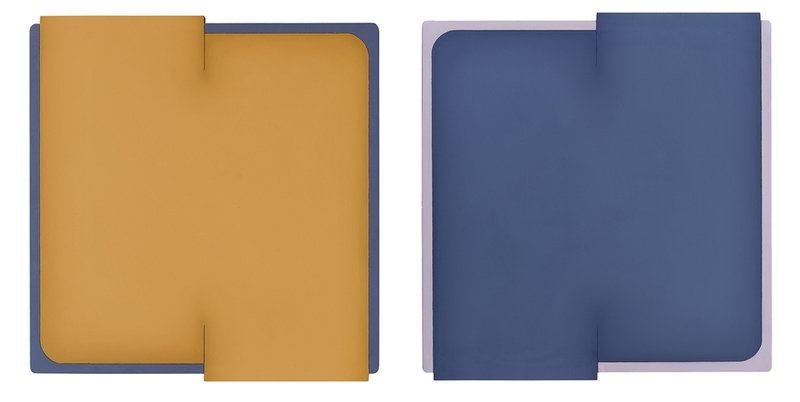 The movement of bundling or fastening perhaps and the colors obviously stand opposite each other. The movement and the concave-and-convex design of frame proportion shape the slightly bulging pure color into an enchanting space. Although the intention of Li Ping is not to build a place for viewers to obtain immersive experience, yet to a large extent, the frame of complementary color and the diminishing of pure color tone manifest his rational control over painting. Especially the oval pieces, with the application of symbolic colors and the use of slightly bulging space, plus the specific image he tries to implant, evoke multiple associations with painting images. In this sense, the “Insight into Grotesque” series brings about a real existence that is both independent from realism and can be silently observed and reflected on. The interpretation of “Insight into Grotesque” above has probably expounded Li Ping’s understanding of “Insight into Grotesque” from the perspective of perception and experience. Therefore, a conclusion may be drawn: the overwhelming coercing of realism and the stir of “image” problem give life to these new works of Li Ping’s, where all the elements—the realistic nutrition he resorted to, the trigger of the image problem (the medieval grotesques logically perceived by him), and the induction of Harari’s imagination— have been implanted in the wood panel that has a logically fictive existence of “point-line-plane”. The logic supporting his art-making is now visible and vivid. 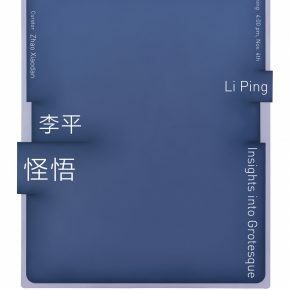 And as an extension, we can say that Li Ping’s works are still dependent on figurative logic. As for the problem of abstraction and of extending individual’s experience and perceptive dimensions, what faces Li Ping is not only the problem of coordinating the tendency of perception and “imagination”, but also the problem of closely observing the objects beyond the works. Let’s wait and see. Courtesy of the artist and Hive Center for Contemporary Art, for further information please visit www.hiveart.cn.